Personalised direct mail is the superpower of direct mail marketing. You can treat every one of your consumers uniquely. Over 84% of consumers are more likely to open a piece of direct mail if it’s personalised to them (source: forbes.com). Add that to the statistic that direct mail is kept in the house for an average of 17 days, and it’s clear to see the potential direct mail can have on improving your return on investment. Through a process called variable printing, we can tailor the mail you send out to each individual customer – a tactic that’s been proven to increase response rates and Improve ROI. Our team can offer a complete print and mail service for your next campaign, from design and print to national distribution. Get a free quote today by using the form below or by calling one of our campaign managers. As a leading UK mailing house, we have the capabilities to fulfil your personalised marketing campaigns. Using our state of the art, Xerox Versant variable digital printing presses, we can provide an outstanding level of detail and smoothness throughout your campaigns. They feature an automated colour management control, so your direct mail will stay consistent across the entire print run. For your direct mailing to succeed, you need to build that all-important trust. Potential and existing customers are more likely to read mail that is addressed to them personally – increasing brand awareness for your business. Personalised mail speaks directly to the receiver which helps it stand out from the generic ‘to the occupier’ type of mail which clogs up our letterboxes. There are many factors to consider when it comes to direct marketing services. Through our years of experience, we know that direct mail is proven to boost open rates; encouraging additional sales from your target audience. 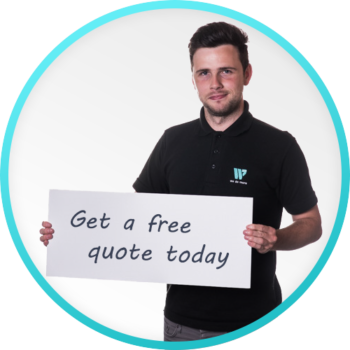 Complete our quick form and a member of our team will get back to you as soon as possible. Or speak to one of our direct mail specialists to discuss your direct mail requirements.